this was a little more non-sequitur than i meant for it to be. and the mystery of jean grey’s terrible costume remains. 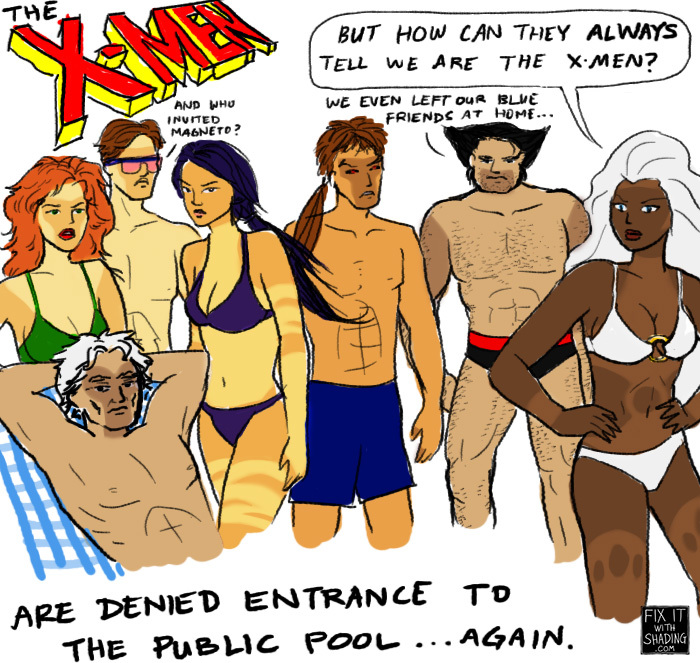 Fight for your pool rights, mutants! This is a running joke between my sister and me from childhood. If you’re wondering what happened to my promised Saturday post about knife handles, ummm it has been postponed. Happy summer and have fun getting a spandex tan! 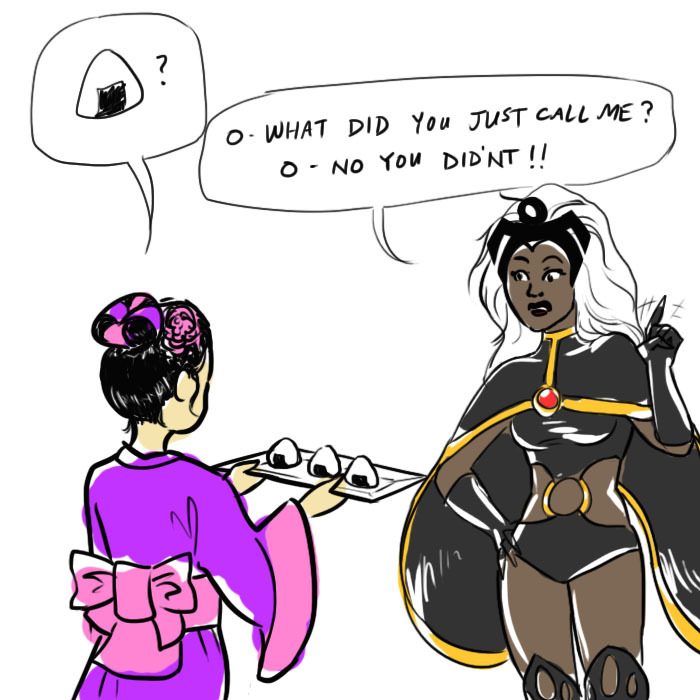 copyright notice: Storm belongs to Marvel!